I have the driest skin EVER. If you’re anything like me, you will LOVE this all natural DIY facial mask for dry skin. Get oh-so-soft skin in no time. The recipe itself is all too easy and takes only a few minutes to prepare. You can also use this mask as a body mask – just double or triple the recipe depending on the size of the area you want to treat. I love applying the mask and then soaking in the tub while I wait for it to do it’s magic. Or sometimes I’ll give myself a pedicure – it’s the perfect amount of time. I try to do this little mini ‘spa session’ each week for not only my skin, but for my sanity. 🙂 You’d be surprised how much a little ‘you time’ can do for your overall well being. Give it a try and let us know what you think! Mash avocado in a bowl with a fork or spoon. Add honey and stir until well blended. Apply a layer of the mixture to your face, neck and decolletage. Mask is best applied to clean, exfoliated skin. Let the mask sit for 25 minutes. Follow with a toner and night cream or extra moisturizing face cream. For extremely dry skin, use this mask twice a week. For normal to dry skin, use once a week. This is more simple than I imagined. I may be able to do THIS. Thanks for sharing. Here’s to beauty! Interesting. I will have to try it! I love avocado but have never used it as a mask! Would love to try this!! I am going to try this tonight as I happen to have the ingredients. I hope it helps my skin, it’s so dry it’s driving me crazy. I pinned this for later. Finally, a use for chalky avocado. This is just what I need for my so dry skin; thank you! I need to try this out with my very dry skin! Thank you for sharing. This recipe looks very interesting. Thanks for sharing! I’m going to try this. I have such dry skin! I’ve been using honey on my face for a while now, and it’s wonderful. I will be trying it with the avocado soon. In the winter my skin seems to get very dry. I think I will try this. I wish I would’ve seen this last week when I had more avocados than I knew what to do with! Thanks! Definitely trying this when I get home tonight. Thanks! I tried this today, My skin is so soft! THank you for sharing. Gotta give this a try! 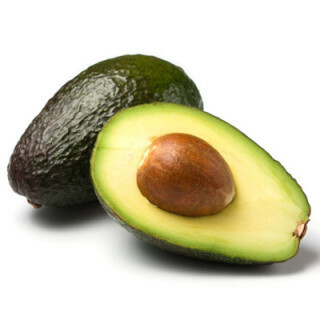 Avocado and honey are so good for you to eat so it makes sense that it would be good for your skin. This is so easy instruction. I have dry skin and it’d definitely help. Avacaodo’s are good for everything !! I might try this. Thank you for sharing. I’m looking for a good mask to do and I think I should try this. Hopefully it could help with acne. I love how easy this is to do and it makes my face feel much more refreshed afterwards. Avocado and honey,i cant wait to try this.Thanks ! This sounds fabulous! I am definitely going to have to try it for my skin. I have the worst dry skin this summer. This sounds great, but I’d have a hard time not eating the avocado. My skin has been really dry – this looks good! Love it’s natural. I am doing a low carb diet so I am a bit worried I will lick the honey off my face, but this looks really cool. I love using natural ingredients for all my skincare needs. This winter weather is drying out my face so a moisturizing mask would be perfect. I bet this feels so refreshing after doing.I love natural DIY ideas like this!! My daughter and I love doing face masks at home. We’ve never tried one with avocado!